The wedding of Ethel Vera Shepherd and Ernest Woodward. See note below. Photo courtesy of June and Melvin Shepherd. and Ernest Woodward born 1900 died 1979. 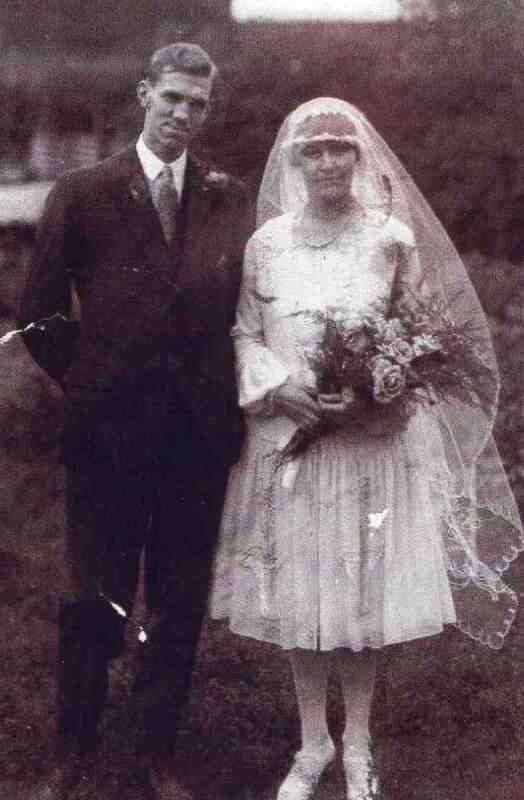 Married in Killamarsh in 1927. Ethel was the eldest daughter of George and Ethel Gertrude Shepherd.